Learn how to set up alerts in our online banking demo. Greek banks finally reopened this week following the country’s deal with the European Central Bank and International Monetary Fund, although extensive capital controls still remain in place. Prime Minister Alexis Tsipras has successfully passed two reform packages through a combative parliament that were necessary in order for the bailout deal to commence. Meanwhile, ratings agency Standard and Poor’s lifted its credit rating on Greece from CCC- to CCC+. The U.S. and Cuba have formally restored diplomatic relations that have been severed for more than five decades by re-establishing embassies in each other’s capitals. 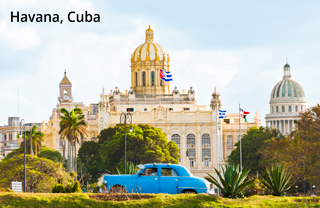 While many European officials have been visiting Cuba seeking business deals, American companies are still prohibited from conducting trade with the country and travelling there from the U.S. as a tourist remains illegal. Opposite of last week, equity markets tumbled this week. The S&P 500 fell 2.21%, closing at 2,080. Likewise, the Dow Jones dropped 2.86% and closed at 17,569. Year to date, the S&P is up 1.01% and the Dow is down 1.43%. Yields in the Treasury markets dipped a little this week. The 10 year Treasury bond now yields 2.26% and the 5 year Treasury bond yields 1.62%. The spot price of WTI Crude Oil plummeted this week. Prices were down 6.13% and closed at $48.07 per barrel. In 2015, WTI Oil prices are down 16.40%. Once again, the spot price of Gold fell decreasing by 3.09% and closing at $1,099.11 per ounce. Year to date, gold prices are down 7.20%. Initial jobless claims showed a steep decline to 255,000 which was a decrease from the prior week’s figure of 281,000. This is the lowest level of jobless claims since November 1973. However, the Labor Department noted that there may be seasonal factors such as summer auto plant shutdowns that may have affected the claims figure. The four week moving average for claims now stands at 279,000. Existing home sales rose 3.2% in June, beating expectations of 0.9%. Both single-family (+2.8%) and condo/co-op (+6.6%) sales increased. Geographically, sales increased in all four regions of the country. The United States’ debt service ratio (debt payments and financial obligations as a percentage of disposable personal income) was 9.92% in the 1st quarter of 2015, down from 13.17% in the 4th quarter of 2007. This statistic has been tracked since 1980 and until the 4th quarter of 2012, the ratio had never been reported under 10%. (Source: Federal Reserve). 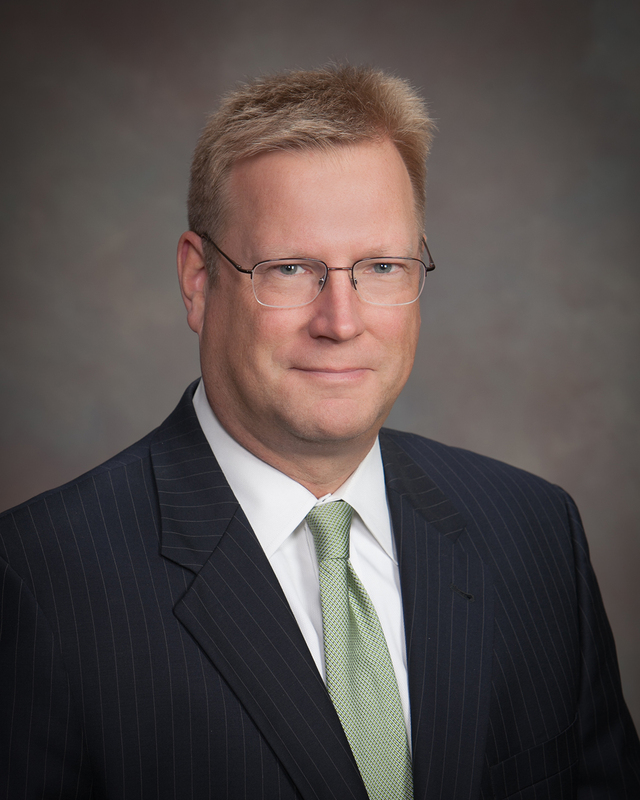 Old Second Bank wants to make sure you have a worry-free home buying experience. We do that by being there to assist you through every step of the home buying process. Watch the video below to learn more! Department, to aid in protecting your personal information and financial accounts. 1. Monitor your accounts. Too many people never even open their bank or credit card statements to review activity in their accounts. The sooner you catch fraudulent activity, the sooner we can shut it down. 2. Look over your shoulder. Whenever providing information to a salesclerk or customer service representative or when keying it into an ATM, be wary of shoulder-surfers lurking nearby. 3. Carry only what you need. It’s rare that you would need to have your Social Security card in your wallet. If necessary, carry a photocopy with the last four digits blacked out. 4. Keep your eye on cash. In crowds, men are advised to keep their wallets in their front pockets. In bars and restaurants, women should resist the urge to sling their purses over the backs of chairs. 5. Be a good Samaritan, just not a naïve one. It’s natural to want to help, but it can be an intentional distraction to divert your attention away from a pickpocket taking advantage of the crowds at a concert, sporting event or any other busy event. Help, but stay aware. 6. Verify before you trust. It’s okay to provide personal information when you’ve called your credit card company or bank or logged on to their secure site. It’s not okay when the contact is unsolicited. Even a caller I.D. number can be manipulated—verify such calls independently. 7. Take your password protection seriously. Use a strong password, and don’t use it for everything or base it on information easily inferred from looking at your Facebook or LinkedIn pages. 8. Don’t toss—shred instead. Dumpster diving is a real thing, especially in areas with alleys or where garbage bins are left unsecure. Also, keep your papers, passwords and files out of sight. Financial fraud is often committed by those closest to us—a family member or friend who sees an opportunity and goes for it. 9. Educate your children. From naïve sources of personal information to easy targets for fast-money counterfeit check scams, kids and young adults can unintentionally sabotage their financial well-being and yours. Foster a greater sense of awareness and skepticism to help keep both their information and money safe as well as yours. “The thing to remember is that criminals look for easy targets. By being aware and taking a few defensive moves, you can appear not to be worth the trouble,” advises Investigator Handell. For more tips, check our website. The Eurozone and Greece have agreed in principle to a third bailout deal that will keep the country in the Euro currency for the time being. After a near total capitulation by Prime Minister Alexis Tsipras, Greece will have to put €50 billion of state assets in a trust fund so that they can be sold off in order to pay down debt. In addition, a slate of austerity measures (more stringent than the set of measures voted down in last week’s referendum vote) was required to be passed through Greece’s parliament and was successful despite protests in Athens before the vote. Greek banks are finally expected to reopen on Monday, however capital controls will remain in place, limiting how much Greek depositors are allowed to withdraw. Iran and major world powers (including the U.S.) have reached a historic nuclear deal following more than two weeks of negotiations in Vienna. 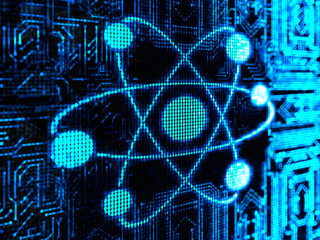 As part of the deal, Iran will have to stall its nuclear program and submit to regular inspections to ensure no nuclear weapons are being developed. In exchange, Iran will receive an easing of its international trade sanctions, allowing the oil-rich nation to reenter the global energy markets and boost its oil exports as well as having greater access to international investment. While analysts believe that global oil markets won’t feel the real impact of Iran’s potential 500,000 barrels/day production until 2016, oil prices have been under pressure since the deal was reached. Economic growth in China proved to be resilient in the 2nd quarter as GDP rose 7.0%. Aided by policy makers stepping up support for the country’s stock market during some harshly negative action, China is on pace to meet its 2015 growth target of about 7%. Though despite the better than expected growth figure, Chinese shares remained volatile and around 700 stocks (about 25% of the country’s listed stocks) remain halted for trading in an effort to slow losses. Equity markets rallied this week on the temporary resolution to the Greek drama. The S&P 500 gained 2.42%, closing at 2,127. Similarly, the Dow Jones rose by 1.86% and closed at 18,086. Year to date, the S&P is up 4.42% and the Dow is up 2.79%. Yields in the Treasury markets stabilized this week as the Greek induced volatility subsided. The 10 year Treasury bond now yields 2.35% and the 5 year Treasury bond yields 1.68%. The spot price of WTI Crude Oil fell again this week on news of the Iran deal. Prices were down 3.51% and closed at $50.89 per barrel. In 2015, WTI Oil prices are down 10.51%. The spot price of Gold fell to a 52 week low, declining by 2.54% and closing at $1,134.14 per ounce. Year to date, gold prices are down 4.24%. Initial jobless claims came in at 281,000 which was a decrease from the prior week’s figure of 297,000. The Labor Department noted that no special factors affected claims this week. The four week moving average for claims now stands at 282,500. Housing starts rebounded in June from May’s sharply negative print, showing a gain of 9.8%, beating estimates of 6.7%. The single family category declined 0.9% while the multifamily segment showed an increase of 29.4%. The headline Consumer Price Index (measure of inflation) rose 0.3% in June, boosted by a 3.4% increase in gas prices and was in line with expectations. Core CPI (excludes food and energy) rose 0.2% in June, also in line with expectations. Over the past 12 months, headline CPI has risen 0.1% and core CPI has risen 1.8% (near the Federal Reserve’s 2% target). Retail sales declined 0.3% in June, which was worse than consensus expectations of a 0.3% increase. Sales of home furnishings (-1.6%), apparel (-1.5%), autos (-1.1%) and building materials (-1.3%) were largely responsible for the lower than expected figure. Learn how to transfer funds in our online banking demo. Following the resounding vote of No against a set of austerity measures put for by Greece’s international creditors in exchange for an additional bailout, the fate of Greece’s status in the Euro currency hangs in the balance. After the vote, former Finance Minister Yanis Varousfakis resigned and has been succeeded by Euclid Tsakalotos. Emergency meetings have been held this week between Greece and high ranking European Union officials and Prime Minister Alexis Tsipras has submitted an application for a new three-year bailout deal. The deal includes many of the reforms requested by creditors in the deal that was voted down in the July 5th referendum so there is optimism a deal will be reached. Meanwhile, Greek banks and markets will remain closed through July 13th as negotiations continue. The Chinese government has stepped in to try to stop the plunge that the country’s stock markets have been seeing the last few weeks. After rallying over 100% over the last nine months, shares have fallen over 30% from their highs, wiping out about $2.7 trillion in market value since June 12th. Encouraged by the government, China’s largest brokerage firms have pledge to buy 120 billion yuan ($19.3 billion) of shares to try to prop up the market. After that measure failed to stop the bleeding, nearly half of all Chinese listed companies have had trading in their shares suspended and short selling has been banned for the remaining trading equities. The head of Puerto Rico’s Government Development Bank, Melba Acosta, said that the country is not intending to cut principal payments to bondholders and would instead seek to renegotiate debt terms. Banking officials have scheduled a meeting for Monday, the first since Governor Alejandro Garcia Padilla rattled markets last week saying he wanted to restructure debt and postpone bond payments. Several U.S. politicians, including Hillary Clinton, have begun calling for changes in U.S. bankruptcy laws that would allow for the commonwealth to restructure its obligations. Despite all the excitement from the NYSE closing for 3.5 hours on Wednesday this week, there was little change in the equity markets for week. The S&P 500 fell slightly by 0.01%, closing at 2,077. The Dow Jones gained 0.17% and closed at 17,760. Year to date, the S&P is up 0.86% and the Dow is down 0.35%. Similar to the equity markets, yields in the Treasury markets exhibited little volatility for the week. The 10 year Treasury bond now yields 2.40% and the 5 year Treasury bond yields 1.66%. Once again, the spot price of WTI Crude Oil fell dramatically this week by 7.18%, closing at $52.84 per barrel. In 2015, WTI Oil prices are down 7.09%. The spot price of Gold somewhat decreased this week by 0.42% and closed at $1,163.74 per ounce. Year to date, gold prices are down 1.74%. Initial jobless claims came in at 297,000 which was an increase from the prior figure of 281,000 and above consensus expectations of 275,000. The Labor Department noted that no special factors affected claims this week, though during this time of year there can be seasonal adjustments related to auto plant shutdowns. The four week moving average for claims now stands at 279,500. As of December 2013, 73% of retired workers who were receiving Social Security benefit payments had begun taking their benefits early, before attaining their full retirement age. Interest Rates Are Expected to Move. Should You? Interest rates are at historical lows—you’ve probably heard this before. It’s still true, but sources indicate not for much longer. 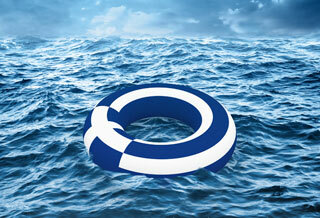 Even the U.S. Federal Reserve, which influences the direction of interest rates, has indicated rates will be going up. If you are thinking about purchasing a home, buying before rates rise could lower your overall cost of ownership. Being able to lock in a low rate of interest lowers the amount of your monthly payment. The current real estate environment has also created another factor those considering making the move to homeownership should be aware of—in some of the markets our bank serves, the selection of homes for purchase is much better than the selection of rental units. Most homeowners are also able to deduct their mortgage interest on that home. There are no comparable deductions available to renters. Having access to this deductibility can significantly lower the after-tax costs of homeownership by lowering your income tax bill each year. An additional advantage for home ownership is the opportunity it offers to build equity. You spend money on rent, but a mortgage payment represents both an expense (interest) and an investment in your asset (home equity). As equity builds, so does your personal wealth. While the aspect of financial benefit figures significantly in the decision to buy instead of renting, homeownership also offers the ability to create a space of one’s own, to customize it to your liking and needs. And, it can provide stability, as well as a place you and your family can refer to as home for years to come. If you do decide to take advantage of the current interest rate environment, it’s a good idea to “know” before you “go.” Visit your lender first to determine how much house you can afford so that you are only shown options in your price range. It helps make your decision and your home-buying experience go more smoothly. Sometimes mortgage terminology can feel like a foreign language. 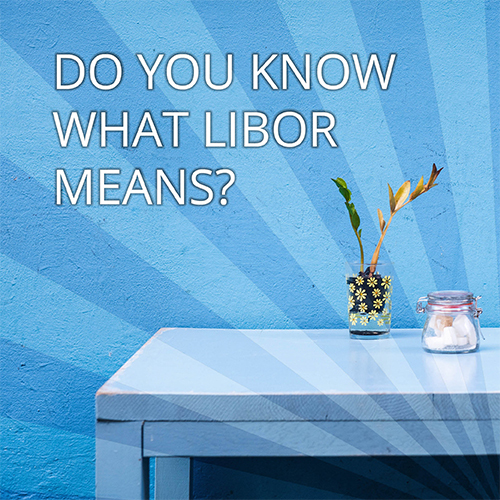 Find out what libor means by visiting our online glossary.